While baking mixes are perfectly acceptable in a pinch, and no doubt a boon to busy cooks on a gluten-free diet (well, honestly, who isn’t busy these days, I ask you? ), your taste buds will tell you why. In a heart beat, Darling. A dark chocolate brownie made from scratch is deeply delicious and decadent. Impressive, even. Company worthy. Dare I say, date night worthy. I’m not kidding. 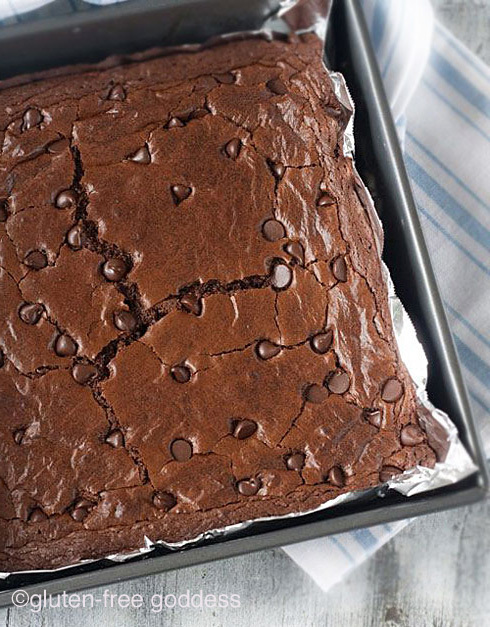 This brownie recipe is swoon inducing. You know what they say about chocolate. But here’s the best part. Throwing this recipe together takes only a few minutes longer than opening up a box. You can whip up these luscious gooey babies in a mere ten minutes. In less time than it takes you to scan your Pinterest feed. Seriously.